The Road To Recovery. Dear All.. It 3:10am and all I can think about is the pain so I’ve decided to write. I’ve decided to release to regain my focus. This is an open letter to my fellow post-op buddies. A letter to myself..
Today was a hard day, mentally I felt so defeated. I’ve vowed to myself I will always tell the truth, I will always write the truth. I will not only write on the good days as to paint a perfect picture. You’re not the only one, I also have hard days. After having orthopaedic surgery the hardest part is the rehabilitation. It’s not as easy as they make it look on the tv is it? You have surgery do a few exercises and your back up and running shortly after, If only it was as simple as that! In some cases you’re starting from scratch, rebuilding muscle and reprogramming joints to move correctly. Such as learning to walk again or in my case, using your arm properly. At times it can feel like you’re fighting a loosing battle right? Trapped on a hamster wheel just going round and round. You recover from the initial surgery pain, then you do the exercises you’ve been given, you push your body to its limit daily which causes more pain, but If you don’t do the exercises you won’t get better. It feels like a vicious pain cycle.. It’s so constant. If you’re like me and you have been going through your issue for years or even just months, there will be days when you just feel fed up. You almost wish you could just click and be magically fixed. Today was one of those days, I felt like seriously.. all I want to do is go back to work now, I’m so over all of this. As I write this I’m realising it’s ok to feel like that sometimes, to have the odd moment.. as long as the moment doesn’t last too long to the point it undo’s all the hard work you’ve put in upto that point. It’s ok.
People tell me that I’m so strong and that they don’t think they could do this, they would have gone crazy by now and it makes me think, you know what D don’t be so hard on yourself. At times when we go through stuff like this we want to see instant results. In reality we all know it doesn’t work like that and for most of us, we knew exactly what we was getting ourselves into, I surely did. This is my second time being in this exact position. The rehabilitation road is hard but if you try to stay mentally strong it can be easier. Maybe we’d even have a little fun whilst doing it. 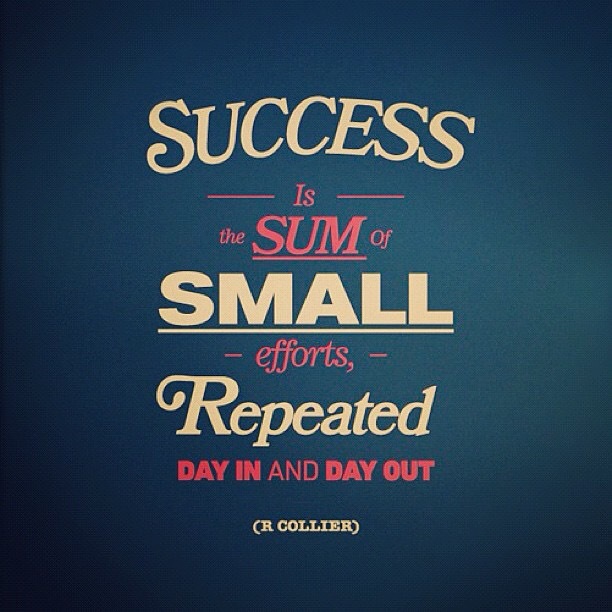 Keep at it, the saying goes success is the sum of small efforts repeated day in day out. You may not see the results today but keep going everyday. Those reps of tens will start to add up. We shouldn’t try to do to much in one day, don’t over do it because ultimately that will not do you any good in the long run. It will more than likely set you back a few days. Do a little everyday and you will get there in the end. The road to recovery may have bumps and potholes but stay focused, you will get to your final destination in the end. Just remember someone somewhere has undergone the exact same procedure as you, unless you’re a special case. Either way you’re not alone. Use your weak moment to re-motivate yourself. So yes it’s ok , have your odd moment it doesn’t make you weak.. You’re actually stronger than you realise, just dust yourself off as quick as possible and keep on going. Never give up. You WILL get there. I don’t know about you, but I feel better already. Ready for another day of rehab. Suffering From Pain? Suffer No More.. Exactly. One day at a time and short trips will eventually get you to your destination. Take it easy and be kind to yourself. Hope you feel better soon! Everything is a journey that leads to better roads. Hold on tight!